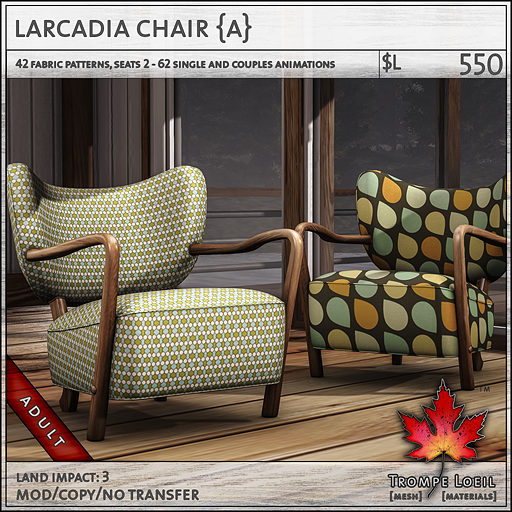 Modern and classic all wrapped up in 4 shoreline colors and a bevy of fashion fabrics – take a permanent vacation with the Larcadia Cottage and Chair at FaMESHed February! 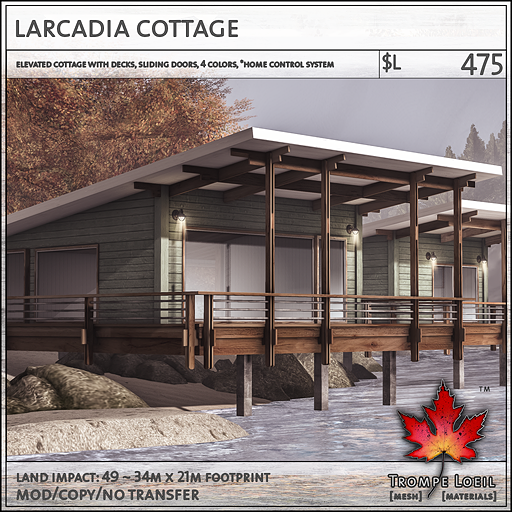 The Larcadia Cottage is an elevated design that adapts to placement perfectly on a hillside or along the water’s edge. 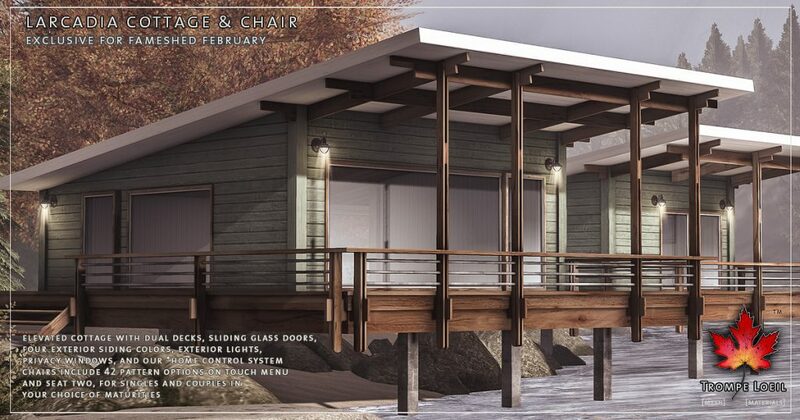 Dual decks allow you to overlook scenic vistas, and sliding glass doors and floor-to-ceiling windows bring the view indoors. 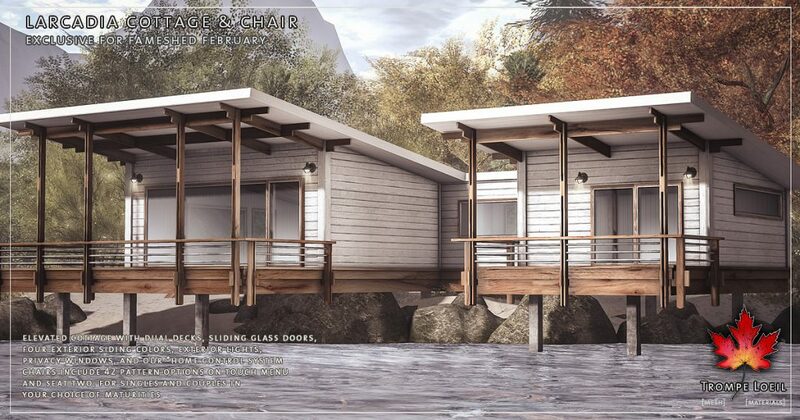 Two generously sized rooms are connected by a floating hallway, and privacy windows, exterior lighting, and an included 4 exterior siding colors round out the options. 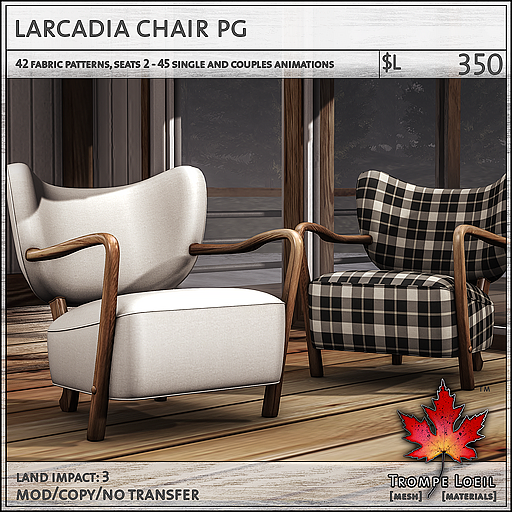 Plus, the Larcadia Chair continues the modern/classic sensibilities with curved form and 42 fabric options, in your choice of maturities for singles and couples! 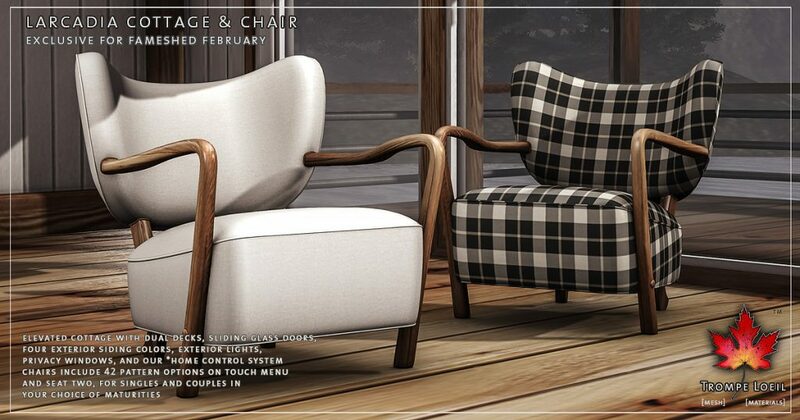 Pick up both only at FaMESHed!